The March -April issue of ‘Livestock Matter(s)’ provides a round-up of livestock development news, publications,presentations,images, and upcoming events from ILRI and its partners. Download a print version or sign up to get Livestock Matter(s) in your mailbox each month. New training guidelines for graduate fellow researchers at ILRI are now in place. The new guidelines were revised in November 2013 by ILRI’s Capacity Development unit after an assessment of the training needs of ILRI graduate fellows and the need for trainings that continuously enhance the research capacity of fellows. ILRI and the Food and Agriculture Organization of the United Nations (FAO) hosted a meeting in Nairobi, Kenya on 24-25 February 2014 to discuss increasing collaboration in the area of food safety. 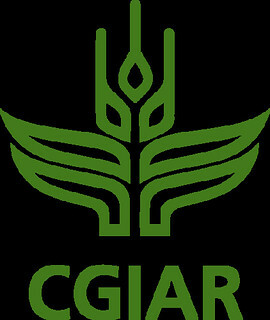 The meeting was linked with the recent signing of the memorandum of understanding between CGIAR and FAO to strengthen ties between the two organizations for translating science to policy. On 27 March,2014 His Excellency Fulgence Ndayishimiye, Ambassador of the Republic of Burundi in Kenya and Mr Jean Baptiste Ciza, Second Counsellor, Embassy of the Republic of Burundi in Kenya visited the BecA-ILRI Hub. The ambassador’s visit to the BecA-ILRI Hub was inspired by his meeting with three research fellows from Burundi who are conducting their research at the Hub. The three visiting scientists’ research on different crops and livestock is significant to the achievement of improved livelihoods in their country through increased food and nutritional security and income. Declan McKeever was a highly gifted and productive veterinary scientist, who made major contributions to our knowledge of a number of diseases that continue to impair livestock production in Africa. ILRI and the CGIAR Research Program on Water, Lands and Ecosystems (WLE) hosted a training workshop on blogging for scientists and science communicators in Nairobi on 12 March 2014. As hunger spreads among more than 12 million people in the Horn of Africa, a study by ILRI of the response to Kenya’s last devastating drought, in 2008-2009, finds that investments aimed at increasing the mobility of livestock herders could be the key to averting future food crises in arid lands. From 2008 to 2013, ILRI led an action research project on zoonotic diseases in six countries in Southeast Asia: Cambodia, China, Indonesia, Laos, Thailand and Vietnam. The project has published three new policy briefs that highlight some of the key outcomes on stakeholder engagement processes, raising awareness of zoonotic diseases, and capacity building in One Health and ecohealth in Southeast Asia. The second phase of the East African Dairy Development (EADD) project which will expand its operations into Tanzania was launched in Dar es Salaam on 28 March 2014. 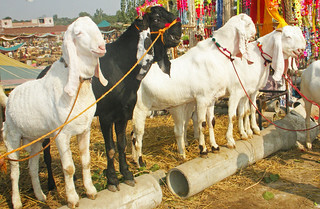 Partners in a project in India and Mozambique to raise rural income through goat rearing have produced a manual to help paraveterinary workers and farmers, especially women and other marginalized groups, transform their goat raising from an informal activity to a viable commercially oriented enterprise. The project, known as imGoats, or ‘Small ruminant value chains to reduce poverty and increase food security in India and Mozambique’ ; was conducted from 2011 to 2013 by ILRI, India’s BAIF Development Research Foundation and Care International (Mozambique). It was funded by the European Commission through the International Fund for Agricultural Development (IFAD). Hassan Bashir is an astute entrepreneur, developing Africa’s first livestock insurance scheme to make payouts compliant with Islamic law, by bringing together Muslim scholars and number-crunching agricultural experts using NASA weather satellites. On 27 and 28 February, the N2Africa project was officially launched in Ethiopia. More than 70 people attended the event representing project partners, the private sector, universities, government and researchers. From 11-13 March 2014, ILRI gender scientists in the Livelihoods, Gender and Impact program, Kathleen Colverson and Alessandra Galie, facilitated a workshop on ‘Promoting Equal Access to Resources and Opportunities in Agriculture for Men an Women’ at the Agricultural Research Institute of Mozambique (IIAM) in Maputo. The workshop was funded by the United States Agency for International Development (USAID) through Modernizing Extension and Advisory Services(MEAS). This was in response to a perceived need to strengthen the capacity of agricultural scientists and extenstionists in Mozambique to address gender in their work, especially in projects supported by USAID. Boran cow at the ILRI farm in Nairobi (photo credit: ILRI/Paul Karaimu). A new study shows in great details what farm animals in many parts of the world eat, how efficiently the feed is converted into milk, eggs and meat, and the volume of green house gases the various animals produce as result. Research into cancer and malaria could see a massive breakthrough- all because of a vaccine project against East Coast Fever. Researchers believe that by understanding hoe the East Coast Fever parasite multiplies a model can be developed to understand how cancer and malaria cells proliferate. Cattle,goats, chickens and other farm animals are the unsung heroes of international development. Susan MacMillan recently sat down with Burness Global’s Michelle Geis in Nairobi to discuss the critical role of livestock in international development and how to communicate the urgency of ILRI’s work to audiences who might never step foot in a developing country. The livestock scene in Africa is dramatically changing, with increased population growth, putting pressure on resources, and growing consumption of meat,milk and eggs. The need for more protein however, has been met through increasing the umber of animals rather than improving the livestock productivity. This was noted by Mario Herrerro, former ILRI team leader, who spoke at a workshop in Nairobi,Kenya. The role that smallholder farmers are likely to play in global food production and food security in the coming decades is highly uncertain.The uncertainties stems from the ongoing agriculture industrialization and climate change-both factors with major impacts. The commercial aquaculture feed industry in Egypt is growing at a rapid rate. As a result, the number of fish feed mills has increased from just 5 mills producing about 20,000 t per year in 1999, to over 60 mills with a current production estimate of 800,000-1,000,000t/year. This study assesses the status of the fish feed sector in Egypt, with an emphasis on :mapping and understanding fish feed value chains, describing the main actors and stakeholders within the chain, assessing value chain performance, identifying major strengths and weaknesses of the sector, and suggesting appropriate actions,management and development strategies. Innovation platforms can enhance the relevance and impact of research; they also have many pitfalls. This project report from Wageningen UR examines ‘critical issues for reflection when designing and implementing research for development in innovation platforms. The CGIAR Challenge Program on Water and Food (CPWF) just published a summary of land and water research, lessons and outcomes generated by the Nile Basin Development Challenge in Ethiopia. 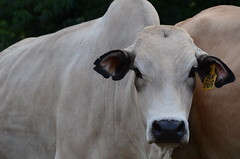 The Livestock and Fish CGIAR Research Program (CRP) will hold its first CRP-Commissioned External Evaluation (CCEE) this year. To be held in the second quarter of 2014, its focus will be on the program’s value chain approach and whether it is being implemented effectively, efficiently and in a manner that contributes to the overall quality of its science outputs. Within the CGIAR Research Program on Livestock and Fish and embedded within a project on aquaculture development funded by the Swiss Agency for Development and Cooperation(SDC), IEIDEAS-‘Improving Employment and Income through the Development of Egypt’s Aquaculture Sector’ – is a project implemented by CARE and WorldFish to secure a sustainable future for at least 100,000 people by upgrading Egypt’s aquaculture value chain. On 31 March 2014, Jimmy Smith, director general of ILRI and Tom Derksen, managing director for agriculture of SNV Netherlands Development Organization signed a memorandum of understanding to start of a formal collaboration between SNV and the ILRI- led CGIAR Research Program on Livestock and Fish. It also opens up spaces for further collaboration between SNV and ILRI beyond the program. In recent years, innovation platforms have been promoted as mechanisms to stimulate and support multistakeholder collaboration in the context of research for development. They are recognized as having the potential to link value chain actors, and enhance communication and collaboration to overcome market failures. This paper sets out a monitoring and evaluation framework to understand and assess the performance of innovation platforms in the context of pro-poor value chains. Eight reports from rapid assessments of small ruminant value chains in Ethiopia have been published. The assessments describe the various value chains, assess strengths and weaknesses, and list some ‘best bet’ intervention plans for each of the sites. The Livestock and Fish program recently convened a partnership roundtable with Wageningen UR to explore concrete strategic areas of cooperation. The Livestock and Fish program’s India smallholder dairy value chain situation analysis report was published in early 2014. It assesses the conditions within which the dairy value chains in India operate, and sets out a broader national context for the rapid and in-depth dairy value chain assessments and analysis at site or small geographical scales through subsequent research activities. It provides an overview of past trends, current status and the likely future directions in dairy value chains in India – as well as the states of Assam and Bihar, and identifies the underlying challenges and opportunities faced by different actors in the value chains. Innovation platforms for improved livelihoods and rainwater management in Ethiopia: This digital story aims to communicate work done by the Nile Basin Development Challenge(NBDC) in Ethiopia. The NBDC aimed to improve the livelihoods of farmers in the Ethiopian highlands through land and water management and was funded by the Challenge Program for Water and Food. This month we feature amazing livestock portraits around the world.